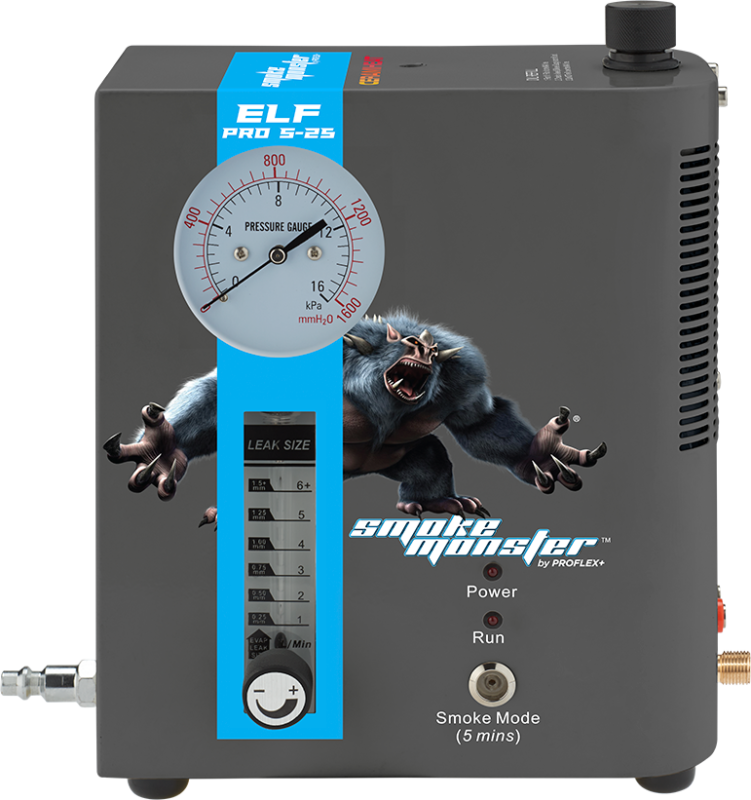 If you’re looking to buy a new automotive leak locator, consider the Proflex+ brand “SMOKE MONSTER™“. We strive to produce the top automotive leak locator models on the market. Proflex+ produces the top automotive leak locators in the industry. If you’ve been looking for new leak locator devices for your auto garage, you’ve come to the right place. Our units use a harmless vapor known as ‘smoke’, rather than potentially hazardous chemicals, to detect leaks in vehicles’ piping systems. 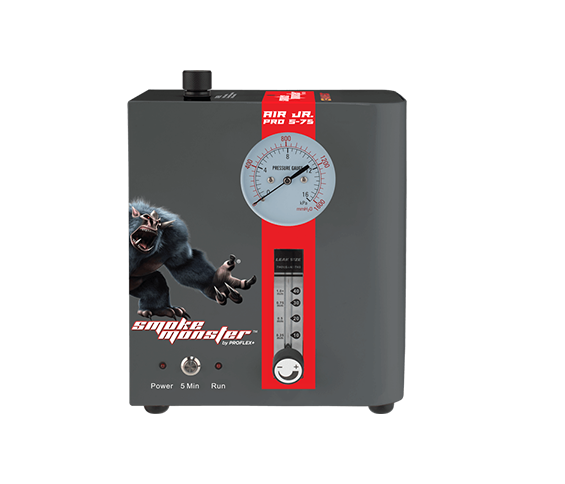 Proflex+ offers four different models, one of which is sure to be perfect for the needs that you and your technicians have. 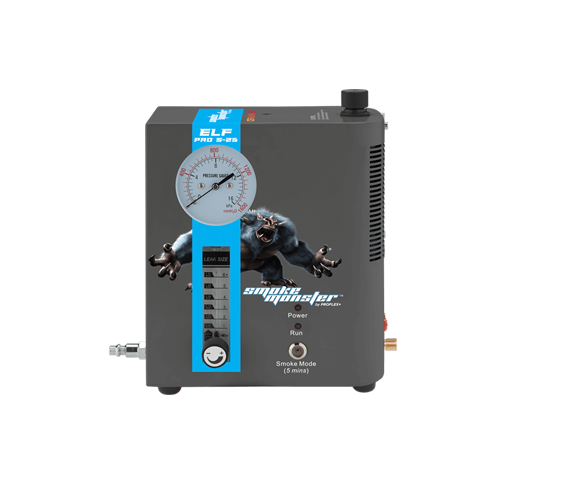 You can learn more about our high-quality automotive leak locator styles by perusing this site. Furthermore, our call center representatives are always happy to speak to potential clients about our merchandise. We look forward to assisting you with your order and are confident that you will be pleased with any Proflex+ devices you invest in. – Manifolds – Catalytic converters – Brake boosters – Oil leaks – Air and water leaks – And much more!!!!! Cone+ – Our cone is dual purpose, can be used for both EVAP gas filler neck test and exhaust systems. Fits all makes and models including cap-less. No more need to purchase expensive gas tank adaptors or replacement discs. If you’re looking to buy a new automotive leak locator, consider the Proflex+ brand. We strive to produce the top automotive leak locator models on the market these days. Proflex+ brand produces the top automotive leak locator products in the industry. If you’ve been looking for new leak locator devices for your auto garage, you’ve come to the right place. Our units use a harmless vapour known as ‘smoke’, rather than potentially hazardous chemicals, to detect leaks in vehicles’ piping systems. 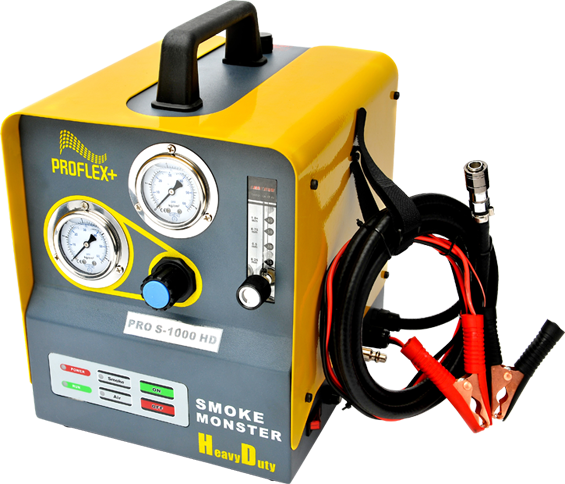 Proflex+ offers two different models, one of which is sure to be perfect for the needs that you and your technicians have. 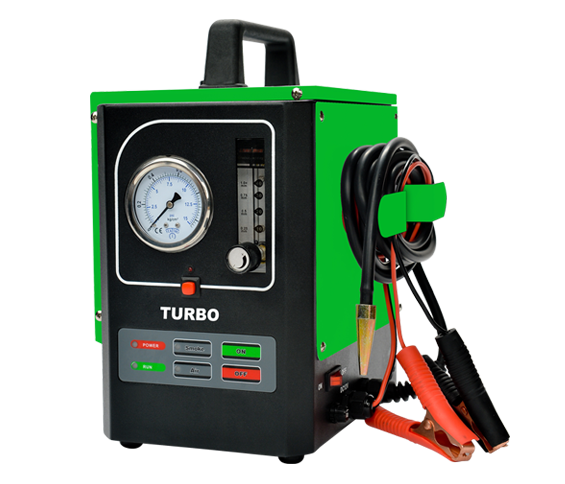 You can learn more about our high-quality automotive leak locator styles by perusing this site. Furthermore, our call center representatives are always happy to speak to potential clients about our merchandise. We look forward to assisting you with your order and are confident that you will be pleased with any Proflex+ devices you invest in.